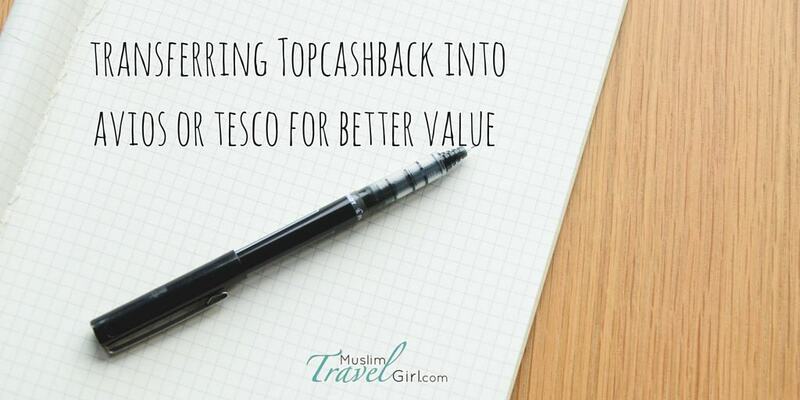 Topcashback is one of my easiest and best methods to save money whilst shopping. I have explained the benefits of Topcashback here for those who want to save money and travel more. However the question that always comes up is where should you transfer your cashback if you want to use it to earn some extra Avios. 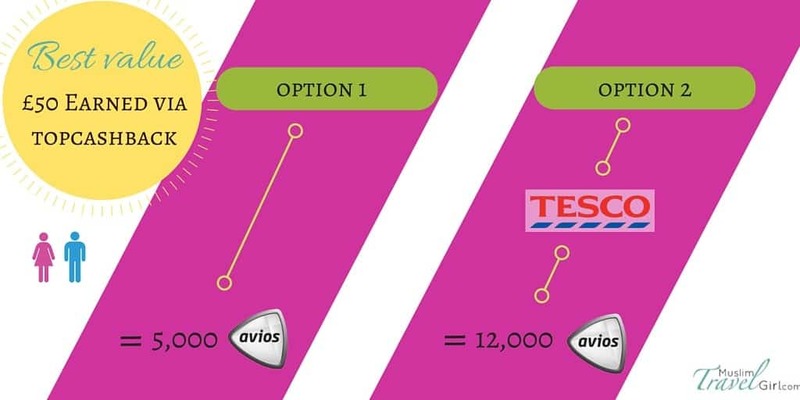 Do you transfer to Avios or Tesco first for better value? You can transfer up to £50 per year into Avios or Virgin miles, which can be a great way to boost your miles accounts especially if you don’t travel often. So the question is a) transferring directly to Avios or b) transferring to Tesco and then Avios. This is actually a very good question since many people get confused; especially those who are just starting. In very short terms you are much better off if you transfer first to Tesco and then to Avios. When you transfer your £50 into Tesco you receive a coupon every quarter from Tesco with the amount. Only then can you transfer those £50 into Avios. For every £2.5 you will receive 600 Avios points. So if you transfer the full £50 into Avios you will receive in total 12,000 Avios points. If you are saving for flights with Virgin you can actually use your £50 Tesco coupon to transfer it to Virgin miles instead of Avios. For every £2.5 you will receive 625 Virgin miles in total for £50 and this is 12,500 Virgin Miles. Effectively you will have about three one way flights within Avios Zone 1 plus taxes or one way flight to Zone 3. To put this into perspective Zone 3 is London to Jeddah which only requires 12,000 miles (off peak) plus taxes. On the other hand Topcashback is also partner with Avios and British Airways directly which means you can transfer straight to them your £50 per year. What happens however is that the transfer rate for this option is very low making it not a very good deal. If you were to transfer your £50 cashback into Avios directly you will only be getting 5,000 Avios which works out at 1 Avios for 1 pence. This is less than half of what you could earn if you transfer via the first option. With miles and points most of the value is perceived. It comes from your needs and how you use your points. For someone who travels a lot or has a lot of miles they value them differently than someone who is an occasional traveller. This is important. If you go for the first option this is more of a long term choice if you are not in immediate need of your Avios. The reason being is that your cashback is converted into Tesco Clubcard points, which then are converted into coupons every quarter. Once the coupons have been issued only then can you use them for the Avios conversion. So if you are planning a trip in the next 4-5 months this is a good option to have. For more of an immediate use then converting directly to Avios from Topcashback only takes 4-5 days and you can use the miles pretty much straight after this. It all depends on your travel strategy and needs. If you would like to find out why in my opinion you need more of a long term travel strategy then you can watch this video. Thanks for this! Didn’t know that there was an easy way to get virgin miles through topcashback and tesco and that could get you an umrah trip!